The roots and root branches of Gentian, a long-living herb that grows a slender stem to over a meter that produces blue-green leaves and yellow flowers in bowl shaped clusters. The ancient Egyptians, the Greeks, the Romans and the Arab physicians of the middle ages all used Gentian as a digestive tonic. 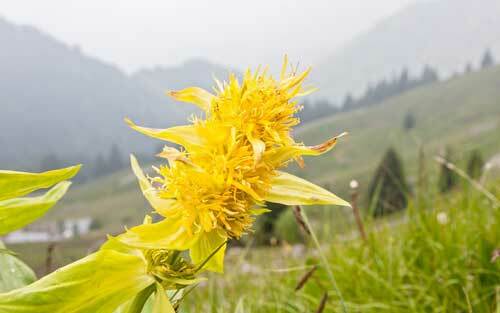 They also widely used Gentian for liver disorders, an antiseptic wound wash, and as a treatment for intestinal worms. Gentian has been very widely used in herbal medicine for people who have chronic health troubles where a weakened digestion is involved. Rudolph Weiss writes 'Gentian makes heavy foods easier to digest by stimulating gastric juice secretion and stomach motility and by improving the muscle tone of the stomach... stomach complaints which are achylous (lacking juice) and atonic (lacking strength) are the primary indications for Gentian'. Maude Grieves writes 'Gentian is one of our most useful bitter tonics, especially in general debility, weakness of the digestive organs or want of appetite... it is one of the best strengtheners of the human system'. In early 20th century slang 'Moxie' meant courage combined with recklessness. Some of the most highly regarded people of the time such as Teddy Roosevelt and Charles Lindberg were said to have plenty of 'moxie'. This term came from a strongly flavoured soft drink available in New England from the 1890s that was itself called 'Moxie' It was touted as a cure-all and owed its virtue to being made with Gentian! Gentian may not be well tolerated by pregnant women (somewhat understandably!) but there is no reason to think it would do any harm to the woman or her baby. It is certainly safe in breast-feeding and may even help the production of healthy milk. If needed, small children and the elderly should use Gentian with confidence because, even if it is hard for them to take, it may do them great good. 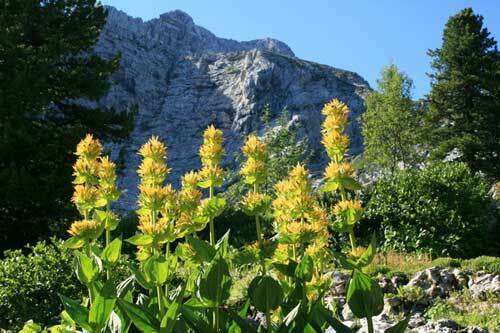 The main point about safety with Gentian to know is that more is not better with this herb! Taking too much will quickly cause an adverse reaction, typically something like nausea, or a headache, or an upset bowel. We do not ever see this in practice in dosages such as those described below but it is nevertheless a powerful herb that needs to be treated with respect and an understanding that, even at safe and low doses, it may only be wanted and needed by the body for a finite period of time. d) help perform a minor miracle with older people who had lost their appetite and were fading fast. 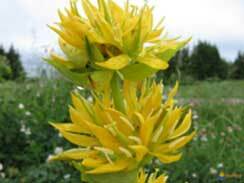 I frequently prescribe Gentian in the early stages of my work with many different kinds of patients. Although they may have quite different conditions they share the common ground of a weakened or stressed digestive system and I know that if I can rapidly improve that gut function, something Gentian is highly likely to help do, their progress with whatever else they have come for is going to be so much the faster. For this particular herb, in the last section called 'Constitutional Notes' I have shared in much more depth than usual about the kinds of ways I might use Gentian with different people from different constitutions. I have students of herbal medicine in mind when I have written this material, but also the person who has wholeheartedly turned towards Nature for the help they need but cannot consult with an experienced practitioner in person. If there is one digestive herb that such a person might need to know and know well, it is Gentian! However, if all you need at this point is a reliable, tried and tested recipe then I firstly share a classic - the Gentian and Ginger formula. As you will see, much of the art to harnessing the power of this herb is in the way you take it and this vital information is shared in practical detail alongside. A typical dose for the above formula, depending on a person's size and sensitivity, is between 6-12 drops before food. If I want to get a very strong action of the herb, especially when starting treatment, I may recommend taking half the dose, i.e. .3- 6 drops, feel the 'action' in the mouth as described shortly, then take the second part of the dose a half minute or so later, i.e. another 3-6 drops. Timing is important to get the best possible result, for a general recommendation I would suggest 3-5 minutes before food, longer is fine, so is less, though the effects may be reduced if the 'action' is not able to be felt for long enough. As soon the Gentian & Ginger formula enters your mouth you will start stimulating the flow of digestive juices right throughout your system. You can immediately feel this for yourself in how you will start to produce more saliva in your mouth. Scientific studies showing how we have bitter taste receptors throughout our body, along with countless experiences throughout history, show that the same increase of 'juice' you can feel in your mouth is likewise happening all along the digestive tract. Digestion is an utterly vital, marvellously complex process whereby food is transformed into both energy and the physical regeneration of our bodies. The analogy of digestion is of a 'fire' that takes the fuel, the food, and turns it into metabolic 'heat', energy and essential materials for growth and repair. 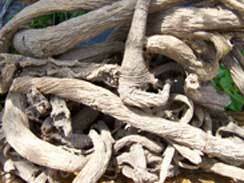 When you throw down 'logs' of food to a person with poor digestion they sit there heavy, smouldering. undigested. In this analogy, the action of the Gentian is to blow into the fire, to get it burning brighter before eating, activating a healthy appetite and good digestion to follow. You must taste the bitterness of the herb for the action to work. If a person can take their drops of tincture straight, so much the better. If they can let it stay in their mouth for a few moments before swallowing, better still. If they can swill it around for a moment before swallowing, then best of all. However, if the taste is just too intense, dilute it with water, the more you dilute it, the less intense. It is noticeable that once people have taken Gentian a few times, they usually say it gets easier to take. This is not because it gets bitter, in fact as people get used to it they tend to dilute it less, so it actually tastes stronger. The only person who can truly answer how long to use Gentian for is the person taking the treatment. This is a herb that begins working the first time you take it and, for many people, once the 'fire' of digestion starts working properly, it will keep going by itself and we can stop blowing on it before we eat. The only way to know for sure is to stop the treatment and see if anything worsens. If after stopping, the appetite decreases, or tiredness, inflammation, sugar cravings or indigestion increase, the body is sending the clear message 'I still need more, keep going!' It is a crude method, but we do this with a great many remedies because it's honest and it works. Even when it is no longer needed, once a person has felt its benefit and is in no doubt to its efficacy, most will like to have some Gentian formula at home for any rough patches that may come in the future. The tinctures do not go off and the tiny doses required make it a most economic treatment if it ever needs to be repeated. For the hotter, damper 'Tiger' constitution, the need for a robust course of bitters comes up just about more often than anyone else. In many cases, for example, there are clear signs of liver congestion, blood sugar issues or a disturbed metabolism reflecting in excess weight and tiredness. To make 540mls of fluid extracts or tinctures (which will easily fit into a 500ml amber pharm round) The maximum dose of this would be 10mls twice a day. Most Tigers will more than survive that strength, they can positively thrive on it! Most treatment courses like this one only need a month, there are exceptions to that though, especially if the skin is involved. 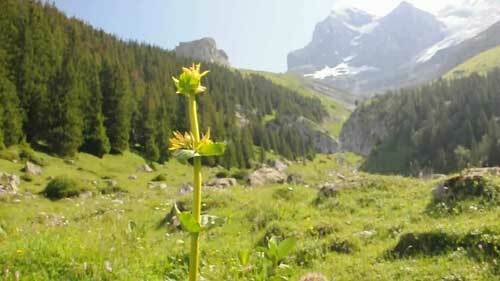 The hotter and dryer 'Eagle' can respond especially rapidly to Gentian. Many suffer from allergies, and Gentian can significantly reduce the system's hypersensitivity by channelling energy into digestion rather than reaction. Gentian can also help in a mind/body manner for an Eagle who has become too 'heady' with symptoms such as insomnia or overthinking where it can have a calming, centering effect. Gentian is a herb that 'pairs' particularly well. This means it gets into combinations where each herb noticeably augments the action of the other. For example, for reactive immune conditions in the Eagle I might use something like Gentian 30mls with either Feverfew 20mls or Limeflowers 20mls and then recommend small frequent doses until things were much improved. Or for another example, to settle the nerves and centre energy, Gentian could likewise be given with Kava, or Motherwort, or Skullcap, except in these cases I would turn the ratio of the pair the other way, i.e. 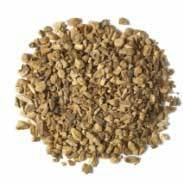 this time the Gentian at the 20mls and the Kava, Motherwort or Skullcap at the 30mls, again the advice would be to use as frequently as required. I did not give specific amounts re dosage nor suggestions as to numbers of times to take each dose per day because with this constitution, often but not always, the best person to work those vital matters out is the Eagle themselves! So long as they have a clear understanding of what the herbs are expected to do, you can usually rely on the Eagle's sharp vision and love for finding the truth to work out how much they need and how often to get the best result. Equally, you should be able to trust them to work out when they can stop using it. Eagles are likely to warmly appreciate the quick response of their systems to this herb, especially when it has been well paired, and getting off to a good start in such a way will make it much easier to achieve the required patience to do any deeper work required. I mentioned 'pulse-testing' just above and it has been an often-repeated observation that many from the cooler and dryer EB constitution have a particular affinity to bitter herbs in general and Gentian in particular. Their pulse becomes significantly stronger within seconds of tasting it and, intriguingly, more than any other constitution, they are the most likely to remark that they actually like the taste on first impression! Gentian, like other bitter tonics, creates a lot of 'juice' in the system; it stimulates earthy, watery, entirely physical processes that bring fire, focus and energy into the core of the body. My sense of this matter is that many EBs, by virtue of their advanced nervous sensitivity, respond so well to its presence directly because of that grounding, centering influence. It brings them from their head to their gut, a place that we must at least sometimes live, if we will have balance, and strength. I would be open to using Gentian as a simple for an EB. In other words, entirely by itself. In such cases I would probably recommend that they experiment with taking very small doses indeed, just a few drops at a time, to gradually become acquainted with its considerable power, build the dose up with an open mind to see if more is better, the same, or worse, and likewise to freely experiment with taking it once, twice, thrice or even four times a day. In such cases I will most carefully select whatever herb I wish to introduce them to and am likely to take things in a very gradual manner indeed, so they can build confidence in the remedies and start to gain some trust that there are things that can genuinely help and not harm. 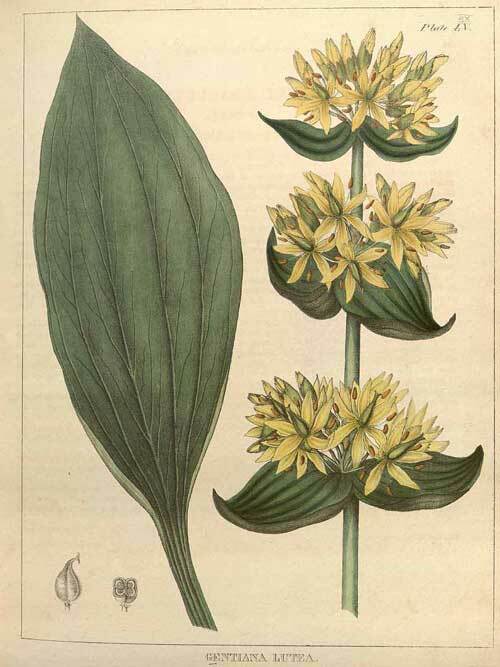 That said, it may also be perfectly appropriate to combine the Gentian with some Ginger to help warm the core, or perhaps to combine it with one or more of the great tonic herbs that tend to resonate especially well with EBs, herbs such as Dong Quai, Withania, Wood Betony, Rehmania or Basil. Many times, I have had the feedback from people of the EB constitution where we have had a very successful response to Gentian and some chronic, stuck feeling or condition has shifted, that the taste and feel of the medicine that they so appreciated at the beginning suddenly becomes distinctly repellent. They might force themselves to keep taking it if they didn't understand that their body is wisely showing them, in the best way it knows how, that 'that's all thank you, time to stop'. Later, it might be necessary to renew the acquaintance, but now it is time to take a break, put the medicine aside, perhaps right now there are other steps to take along the way. Cooler and damper Bear constitutions can thrive on a course of Gentian and I have little hesitation to use it if there are any of the typical signs of poor digestive fire coupled with one of the chronic problems that tend to beset Bears. The herb Ginger is equally of great benefit to Bears, and they can nearly always handle a stiff dose of it, so the Gentian and Ginger formula above would be more likely given in equal parts, i.e. half Gentian and half Ginger. The, always critical, matter of dosage doesn't have fixed rules to it, people will vary and too much is as unhelpful as too little, but just to say that quite robust amounts, e.g. 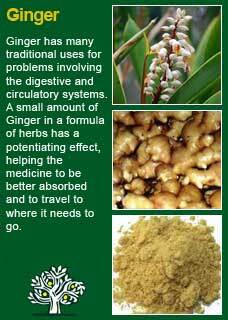 20 drops or 1ml at a time are unlikely to overdo it and should see a rapid and reliable response to the herbs. Many Bears have problems with blood sugar control from early on in life, if they don't eat in time they get the 'hangries' or fall into a sullen state where the world turns entirely grey. One of the great paradoxes with Gentian is that you can give it to someone who needs their appetite to come back and then you can give it to another person who just can't get a handle on sugar cravings or widely swinging blood sugar levels and get an equally potent effect! It clearly does something to rewire the brain in relation to food and is one of the few remedies that can legitimately be said to help a person lose excess weight when needed. Like everyone I suppose, many Bears get far too stuck in their heads; thinking, analysing, processing the world. Many Bears get chronic problems in the deep core parts of their body, their bowel, bladder, womb, low-backs, and it sometimes seems as if the more they resist the symptoms of these problems, through drugs, surgery, or denial, the more the body 'weighs the anchor' so to speak. The condition gets deeper, stronger, more insistent that the mind pay attention to the body - 'look, listen, feel, here I am!'. In such instances, a herb like Gentian can be a small but essential stepping stone towards making peace between mind and body. Like a bridge It brings the awareness and attention from the mouth to the stomach, raising energy from underneath, sinking tension from overhead. Gentian can be a helpful 'early treatment' strategy for a Bear who needs deeper work but, again like most people, needs to feel that what they are doing is genuine and is likely to help. This is one of the great virtues of Gentian, that it starts working as soon as you take it. A laxative would achieve the same conviction a few hours later but a palpable digestive tonic is a much kinder way to go about it. A person must trust the evidence of their own senses or they would have to be entirely disembodied. By taking the herbs mindfully, letting their action penetrate for a few minutes before food, there is a shift, a better engaging with one of the most core, essential processes to life itself; digestion. The Bear who has become stuck in their head, looking down on their errant body with dismay, may get a more than considerable shift in their consciousness, and their health, when they experience that just a few drops of this mountain magic are enough to change the way they digest, and appreciate, their food. As always, the proof is in the pudding. One must try and see for oneself.